Dolly Moe and Lisa Shishido welcome golfers. 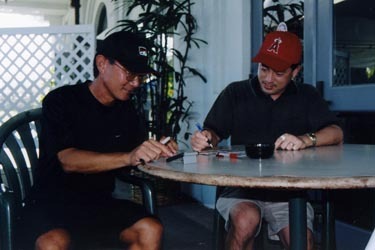 Dennis Shimabukuro and Reid Yamashiro tally the scores. 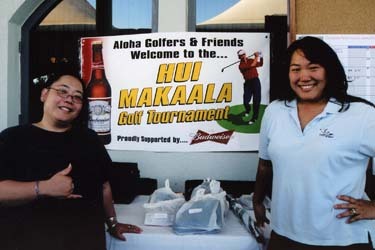 The Hui Makaala Golf Tournament was held on August 12, 2006 at the Kapolei Golf Course and was chaired by Ryan Okunaga and Dolly Moe.